Governor Rochas Okorocha of Imo State and his son-in-law, Uche Nwosu, have again lost some die-hard followers in the state. This is as some bigwigs of the â€œAgburu Anyiâ€ faction of the All Progressives Congress, APC, led by Governor Okorocha, have left the group. Engr. Nshirim, a former Commissioner for Information and Strategy, who is among the latest exodus from Okorochaâ€™s camp, told Vanguard that he left Okorocha because it was wrong for the governorâ€™s group to oppose party directives. â€œI donâ€™t see how I will continue opposing party positions and directives. â€œThe party is supreme and since the group was not prepared to respect legitimate instructions and party leadership, I had to quietly withdraw from the group. â€œThose that share my views, have equally left the group and either returned to APC or pitched their tents in other parties,â€ he said. Also speaking on the matter, the National Organising Secretary of the APC, Chief Emmanuel Ibediro, who also left Okorocha recently, said that he was not comfortable with the way some members of the Okorocha group not only resolved to work against the party, but that they also joined Action Alliance, AA. Okorochaâ€™s son-in-law, Nwosu is the governorship flagbearer of the AA in Imo State. 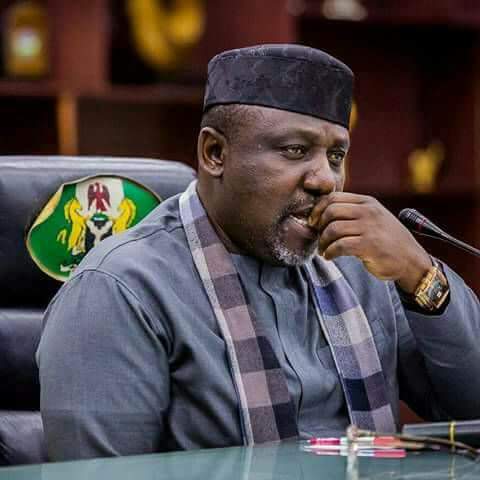 Recall that before now, Prince Eze Madumere, Sir Jude Agbaso, Chief Martin Agbaso and the two former secretaries to the Government of Imo State, Sir Jude Ejiogu and Sir George Eche, have abandoned the Okorocha faction. Other APC chieftains such as Dr. Theodore Ekechi, Chief Charles Chalvon Amadi, Prince Marcellinus Nlemigbo, Engr. Obinna Nshirim, Ichie Best Mbanaso, Chima Anozie, Kingsley Ononuju, Rex Anunobi,Chief Vitalis Orikeze Ajumbe, Senator Ifeanyi Araraume and his son, Ifeanyi Araraume (Jnr), as well as Senator Hope Uzodinma have since abandoned the Governor.